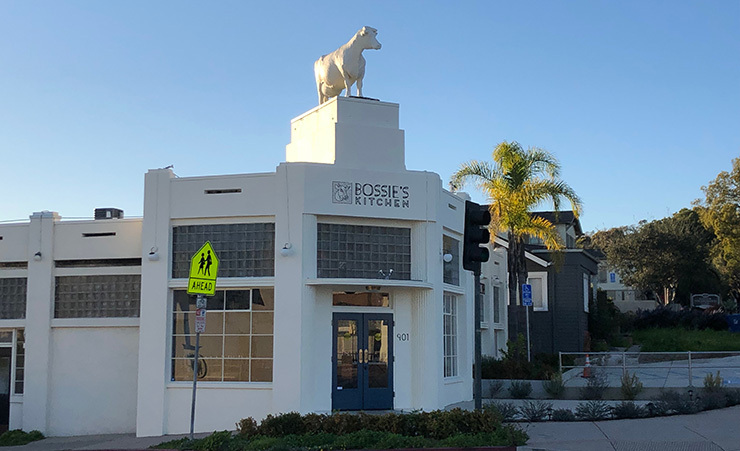 Chef Lauren Herman and her wife Chef Christina Olufson, have opened Bossie’s Kitchen at 901 North Milpas Street, an address locally famous for being adorned with a cow on the roof. The building was constructed in 1939 to be the creamery and processing plant for Live Oak Dairy. People can order items at the counter to go or dine at the restaurant. 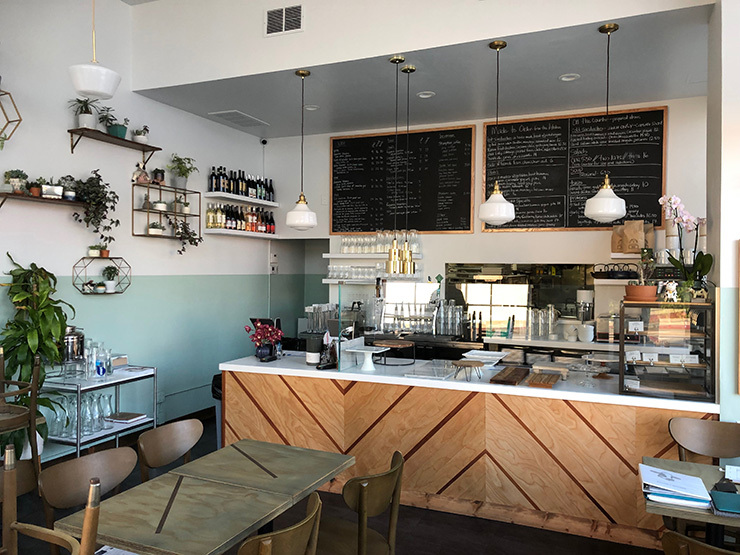 Current offerings include Hot Sandwiches (grilled cheese, Korean fried chicken, pork belly, meatballs), Cold Sandwiches (pita wrap, roasted turkey, slices salami), Plates (roasted market vegetables, grilled salmon, grilled hamburger), Soups, Salads, and Sides. Bossie’s Kitchen is open Tuesday-Sunday. Happy hour is 4:30-6 p.m. and dinner is 5 p.m. -close. Visit bossieskitchen.com. I would like to try it. Looks very attractive. Wish them luck on this venture.